Spring has sprung and it’s time for SPRING BREAK! You might be heading out of town, but if you and the family are staying put, you can see the Pan Am Olympics qualifiers, a laugh riot of theater, Bruce Springsteen tributes, and Texas Legends basketball. Check out ALL the great things to do in Frisco! 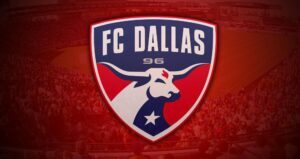 FC Dallas is kicking off the season and the home opener is this weekend, March 6th vs the Philadelphia Union. Spring came early so get out and enjoy the nice evenings this Saturday! “Museum of American Railroad Walking Tours” – Demand for guided walking tours of the Museum’s new Frisco facility has been strong throughout 2015! We are pleased to announce a continuation of these tours for 2016. Beginning Thursday, January 7th, walking tours will resume each Thursday at 1pm and each Saturday at 11am & 1pm through March 26th. Please phone ahead (214) 428-0101 to check the status of the tour schedule in the event of inclement weather. Tours will last approximately 45 minutes and will originate at the Frisco Heritage Museum (6455 Page Street, Frisco, TX 75034) – just a few blocks north of the Railroad Museum. After paying admission at the Heritage Museum, you will proceed to the Railroad Museum site. Parking is available at the Frisco Discovery Center (8004 Dallas Parkway, Frisco, TX 75034). “Luke Lagrange” – Live at Stan’s Main Street in Downtown Frisco. Music starts at 7:00pm. Friday’s Special at Stan’s: $4 House Margaritas! “Frisco Senior Dance Club” – Come join our 1st and 3rd Friday dance held at Power House Dance Studio in Frisco. We play ballroom and country partner dancing music at the same time we have line dancing at the far end of the ballroom. Cost is $10 per person and that includes a Salsa lesson at 7 PM, snacks and admission to the dance that starts at 8:15. We also offer country and ballroom dance lessons every Friday starting at 2 PM until 4 PM at the Frisco Senior Center. Cost is $5.00 per week but the center requires payment for the full month. Usually $20.00 per person. We start a new dance every month and we rotate partners so everyone gets to practice. Please e-mail edfrantz@tx.rr.com if you have any questions. “A Bad Year for Tomatoes” – In this farce, fed up with the pressures and demands of her acting career, famous Myra Marlowe leases a house in the tiny New England hamlet of Beaver Haven and settles down to write her autobiography. She is successful in turning aside the offers pressed on her by her long-time agent, but dealing with her nosy, omnipresent neighbors is a different matter. In an attempt to shoo them away, and gain some privacy, Myra invents a mad, homicidal sister-who is kept locked in an upstairs room, but who occasionally escapes long enough to scare off uninvited visitors. The ruse works well, at first, but complications result when the local handyman develops an affection for “Sister Sadie” (really Myra in a fright wig) and some of the more officious ladies decide it is their duty to save the poor demented Sadie’s soul. In desperation Myra announces that her imaginary sibling has suddenly gone off to Boston-which brings on the sheriff and the suspicion of murder! The funny doings will keep audiences laughing right up to the final curtain. Frisco Community Theatre in Frisco Discovery Center Black Box Theater- Fridays and Saturdays at 8pm; Sundays at 2:30pm through March 6th. “FC Dallas vs Philadelphia Union” – Season HOME Opener! Match starts at 2pm in Toyota Stadium, 9200 World Cup Way. “Spring Break Programs at Safety Town” – Looking for something fun and free to do with the kids during Spring Break? Frisco Fire Safety Town will offer free safety education classes to those in Kinder-Fifth grades during FISD Spring Break week- March 7-11. Topics include Fire Safety, Severe Weather Safety, Home & Life Safety, Water Safety and Bicycle Safety. Each class ends with bike riding time in the village. Children must be accompanied by an adult. “Texas Legends vs. Idaho Stampede” – Tip off at 7pm in Dr. Pepper Arena. Volunteers are needed to help support the event. If you are interested in serving your community and the arts, please sign up! “Frisco Family Services Gala ONE 2016” – One community. One purpose. One impact. Presented by Advanced Fixtures Inc. on Saturday, April 16, at 6pm. This year’s event will be “under the stars” where guests can take in an awe-inspiring, panoramic rooftop view of this great community, from seven stories up! We are pulling out all the stops to ensure our 22nd annual gala is an experience like no other – and we want YOU to be a part of it! The evening will include an elegant, seated, six-course dinner presented by local restaurants, spectacular live and silent auctions, and dancing under the stars to the fabulous Emerald City Band! Gala 2016 will conclude with the announcement of the winner of a Luxurious Italian Getaway along with the winner of a $10,000 VISA gift card. Every day, Frisco Family Services remains committed to helping our neighbors in need – those facing hunger, homelessness or another life crisis – but we cannot do so without YOU. We invite you to make an impact in our community by supporting us as a sponsor, program advertiser and/or distinguished guest. COMMUNITY begins with CARING. Additional information on this event will be coming soon!